The Robinson Library catalog is available online! 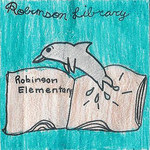 Click on Robinson Elementary School to access the Robinson-specific catalog. The schedule for class visits can be found here. Our main library website with information about weekly read alouds and reading lists is located at http://tinyurl.com/RobinsonLibrary. The Robinson Tuesday Tide weekly bulletin is available by email. Please subscribe to join the mailing list.